New Zealand agriculture has been hugely reliant on exports and the pursuit of suitable trade deals for decades. Its experience includes useful lessons for farmers ahead of June 23, according to a former NZ Minister. Any UK farmer voting to leave the EU would be under-estimating the difficulties Brexit would entail, according to a former New Zealand Agricultural Minister. 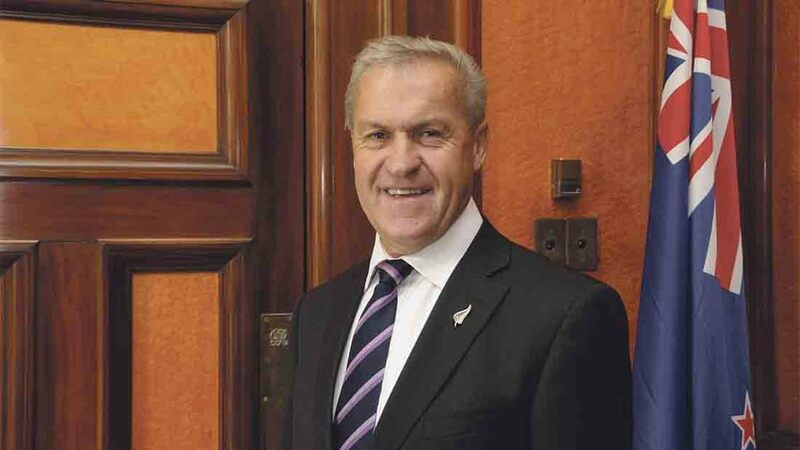 David Carter, a farmer and currently Speaker in the New Zealand Parliament, said he believed a vote to leave would be damaging for both UK and New Zealand farmers. New Zealand, which exports the vast majority of its agricultural produce - it has 4.6 million people but produces enough for 40-50 million people - is currently trying to negotiate a free trade agreement with the EU. It is proving to be a long process. “Since Britain joined the EU spent, we have spent 40 or 50 years negotiating access to all sorts of markets around the world and all of them have taken a long time. We have never gained easy access, except perhaps to Australia,” Mr Carter said. “The UK currently has this access to the EU market of 500 million people. "They need to ask themselves whether the risk of losing that free access is worth taking because there are real risks." Mr Carter pointed out New Zealand exporters still have to comply with the ‘very demanding’ regulation in place when exporting to the EU and other destinations, despite being a separate entity. "The first thing you do when you negotiate an FTA is to establish the principles, including the protocols and the phyto-sanitary requirements and they are never as straightforward as everybody thinks they are," he said. "The requirements that can be required by some markets impose great demand on our processors here in New Zealand and therefor on our primary sector." “Farmers voting to come out of the EU under-estimate the challenges they will face in the future,” he said. If Britain left the EU, New Zealand would seek to re-establish trade links with Britain but its priority would be the much larger EU market, Mr Carter said, adding that his country hoped to finally conclude an FTA with the EU soon. "The EU would have about 450 milion people if the UK left, so it would be critical us," he said. But from a New Zealand farmers’ perspective, he said he feared a likely post-Brexit economic downturn in the UK would would affect demand - and therefore also price - for key New Zealand imports such as lamb. "We send a lot of product to the UK, particularly sheepmeat. I personally think there will be a significant economic effect in the short-term and that has to have a knock-on effect to New Zealand in terms of demand for some of our products as Britain is still a very important market to us." Mr Carter had some interesting observations on the prospect of reduced support levels, suggesting farmers could gain in the long-run from less reliance - whether inside or outside the EU. When subsidies were removed ‘overnight’ in New Zealand there was a great deal of short-term pain but the farming industry has emerged stronger from it. He said: "Any removal of support means a difficult and, for some, traumatic transition. There are some that are not as efficient as they should be and not efficient enough to survive. "But ultimately we managed really well. If you take New Zealand as an example you would find farmers are now are better farmers without that support. "Farmers are probably making more money because we have had to look at our farming systems and look at ways to improve productivity and, more importantly, because we have become closer to our markets. He highlighted how supermarkets, including the big UK players, work with farmers to guide them on what the market wants. "We are more attuned to what our customer wants," he said. "You would not find a farmer in New Zealand who would wish to go back to accepting subsidies from the Government.